The Sands Hotel & Spa is the ideal location for weddings and soirees on both large and intimate scales. 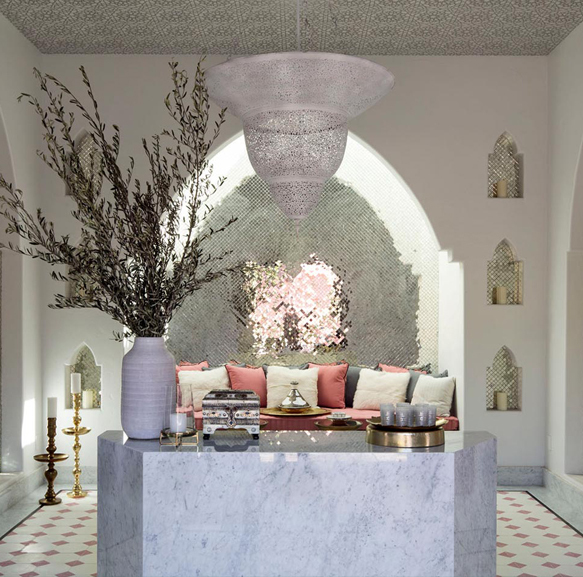 Tucked behind bold arched doors and desert rose walls, each courtyard and pathway in this Mid-Century meets Morocco jewel box leads to new adventures and unique possibilities. 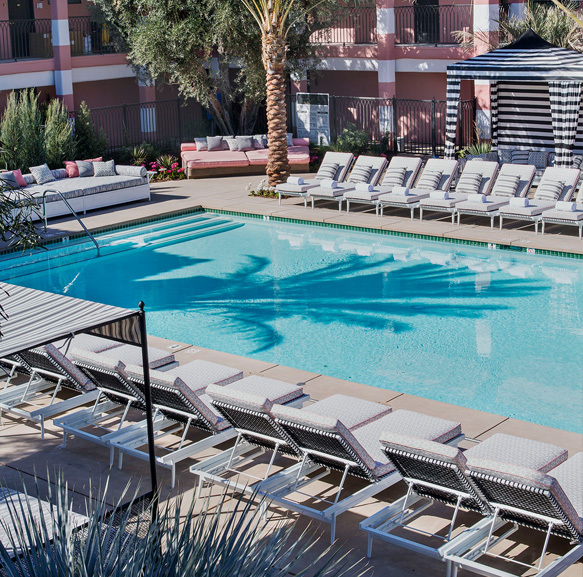 From full resort buyout weddings to meaningful social events poolside, the Sands Hotel is the perfect backdrop for highly curated and bespoke affairs. The hotel’s on-site restaurant the Pink Cabana, will assure any of your culinary requests are customized to your exact needs. Weddings may be hosted in consideration of a guest room buyout allowing for full use of available event spaces on the night of your event. The Olive Grove is the ideal location for wedding ceremonies, while dinner is served poolside. 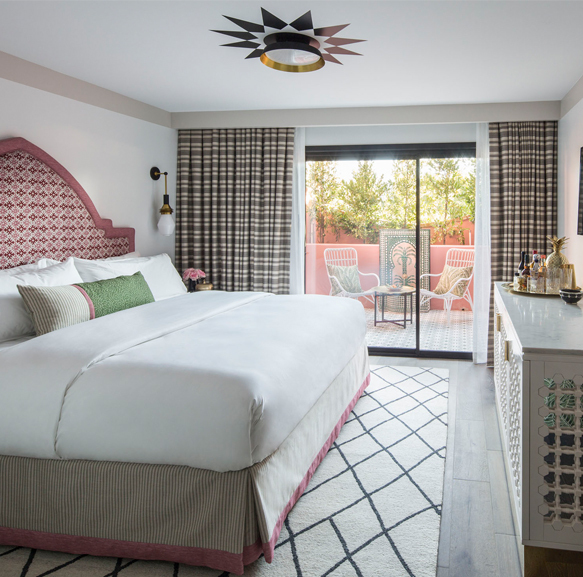 Guests are surrounded by Moroccan daybeds and pink bolstered pillows allowing for a luxurious desert setting. After hours and dancing continues late into the evening with Pink Cabana’s unique assortment of libations. The Olive Grove is the ideal location for wedding ceremonies up to 180 guests. 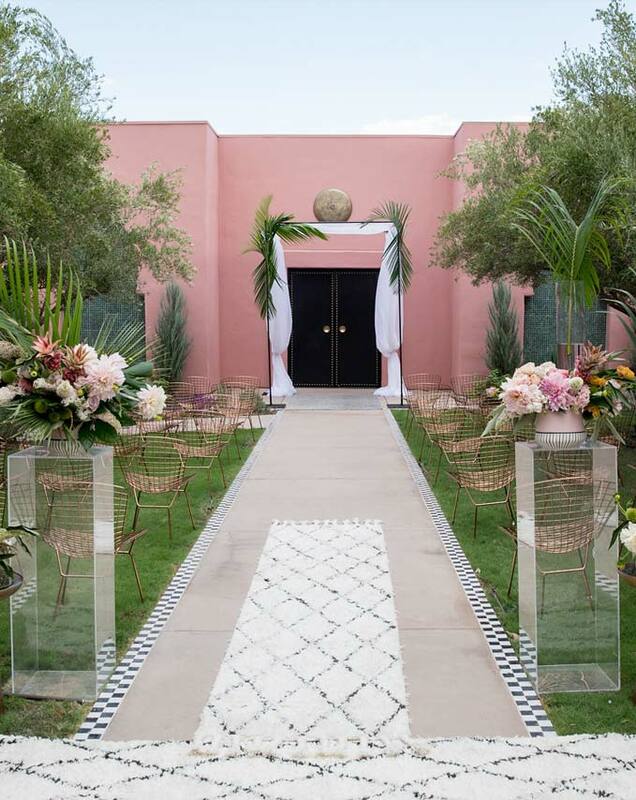 Framed by ancient Olive trees, the Olive Grove has a dramatic desert rose backdrop. Alternatively, the Olive Grove can entertain al fresco dinners or cocktail gatherings ranging from 40 – 80 guests depending on the format. 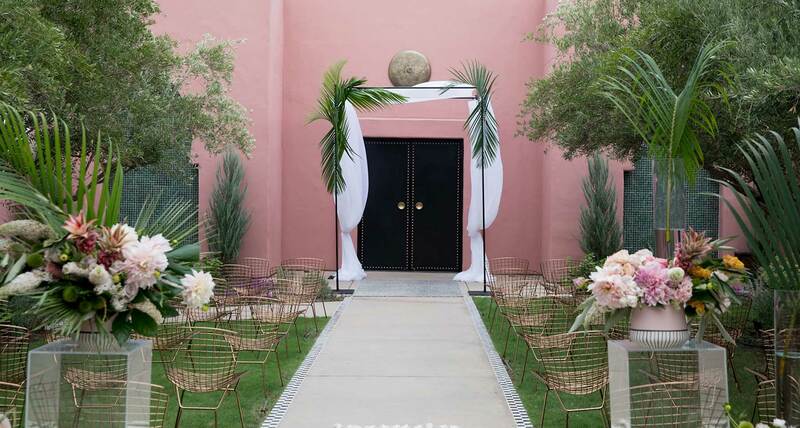 The resort’s lush courtyard and cabanas provide a surreal environment for any large or intimate gathering. 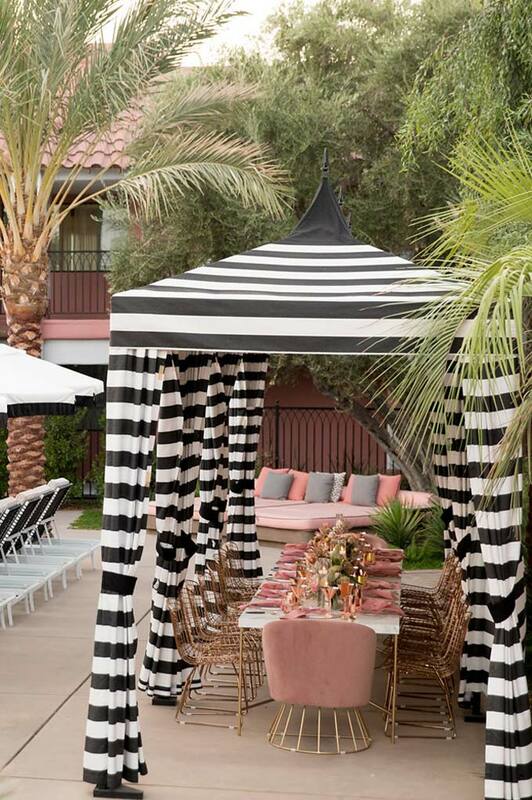 Poolside, black and white striped cabanas surrounded by Moroccan daybeds set the stage for a chic desert experience. Dinner for up to 32 guests may be accommodated in this area.